The Adventures of Berto and Kwala: McDonald's Concepcion Marikina is Open! Early this month, our favorite fast food chain opened one of its branches near our place. 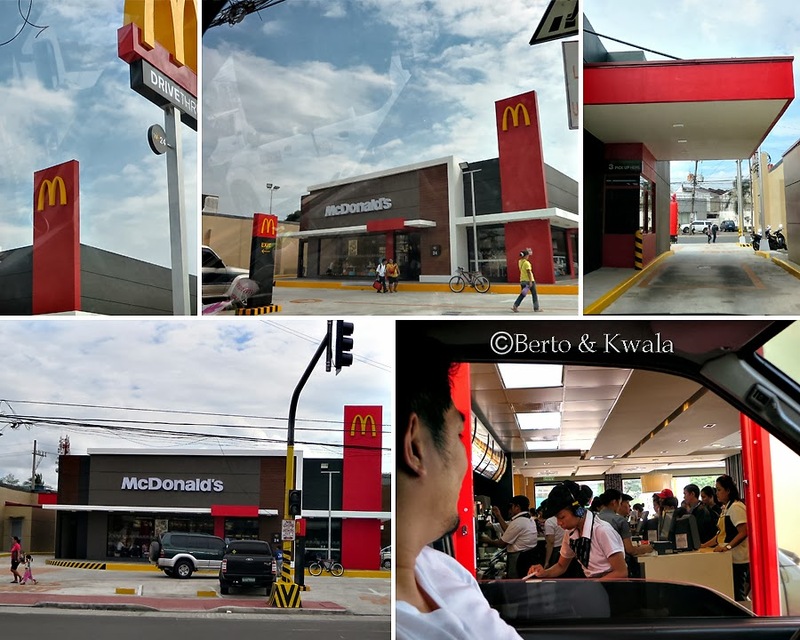 McDonald's opened its Concepcion Marikina branch! It is open 24 hours and it has a drive thru window! Woot! Too bad thought that it doesn't have a McCafe but that's ok, who knows it might come in the future. The new McDonald's stands where the old Concepcion Market used to stand, before it burned down. 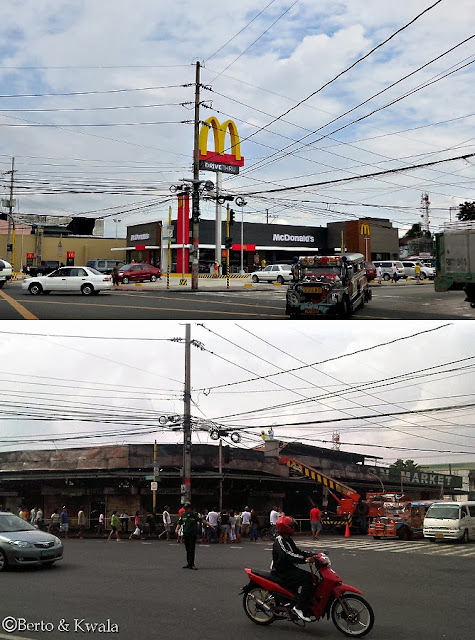 Although an era ended when the Concepcion Market closed down because of the fire, admittedly that busy intersection is now much more pleasing to look at. Hopefully delivery will now be much faster and cravings for premium brewed coffee and midnight snacks will now be satisfied effortlessly.